• Reduces the appearance of stretch marks and scars. 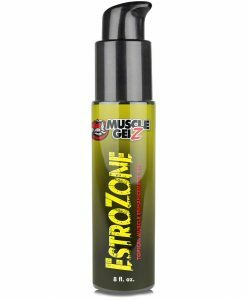 • Significantly increases skin smoothness and softness. • Intense moisturization, and reduction of skin dryness and roughness. • Fades age spots, freckles, blotches and all skin discolorations. 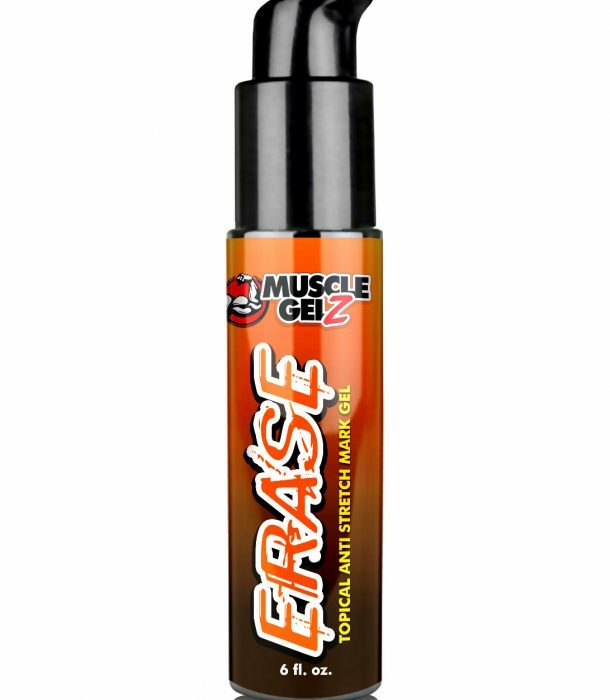 Erase™ – Anti-Stretch Mark Gel! People have been looking for a way to prepare and prevent stretch marks. This revolutionary treatment product from PURE SOURCE, Inc. offers a guarantee to do just that. Backed by independent clinical and scientific testing, Pure Source has come up with an easy-to-use Body Cream that has been proven to reduce the appearance of stretch marks on the Body by an incredible 100% of the women tested in less then two months. Furthermore, every person tested agreed that their skin looked and felt better, firmer, smoother and tighter. Regular twice-a-day use of this product will quickly fade the discoloration of the stretch marks and scars. Carefully researched peptide chains will actually thicken and strengthen the weakest skin (at the depth) of the stretch mark…this in turn will reduce a stretch mark, or any body scar, in terms with width, length and depth. Regular use will also help prevent the formation of new stretch marks. Pleasant and easy-to-use, this is the only Body Cream any upscale consumer will ever need. Combine the anti-scar and stretch mark properties with intense hydration, smoothing, and an amazing reduction in age spots, freckles and skin discoloration, this unique product does everything the most demanding consumer can imagine. PALMITOYL OLIGOPEPTIDE: Is used to promote overall skin health, elasticity and suppleness. PALMITOYL TETRAPEPTIDE-7: A protein-like molecule used for skin repair. Used in the proper concentrations, Palmitoyl Tetrapeptide-7 is clinically proven to thicken and strengthen the skin, and to reduce stretch marks, scars, fine lines and wrinkles. ACETYL HEXAPEPTIDE-8: Composed of natural amino acids, and proven to repair and prevent fine lines, stretch marks and wrinkles. RUTIN: Rutin is a powerful antioxidant that inhibits the body’s production of histamine. The body’s production if histamine blocks the normal and healthy production of natural collagen and elastin, crucial elements of young-looking, young-feeling and supple skin. PHASEOLUS LUTANUS EXTRACT: Like Rutin above, this natural extract will inhibit the body’s synthesis of Trypsin and Chemotrypsin, which will also prevent the body’s normal and natural production of collagen and elastin. EMBLICA PHYLLANTHUS EXTRACT: An excellent natural skin lightener. Lightens and brightens the skin without the harmful or permanently damaging effect of hydroquinone. Helps remove the pinkish/purplish hue from stretch marks and scars within days. LICORICE EXTRACT: Fights discoloration and age spots with a very strong ability to inhibit Tyrosinase. Also an antioxidant, this specific Licorice Extract has been shown to be 25-times better at Tyrosinase inhibition then Kojic Acid. HYDROCOTYL EXTRACT: Helps repair scars and stretch marks with its antibacterial, anti-psoriatic, and wound-healing properties. BEARBERRY EXTRACT: A natural skin lightener used to help fight the discoloration of stretch marks, along with age spots and freckles. EMU OIL: The natural oil with the closest DNA footprint to Human Skin, Emu Oil is excellent in the repair of stretch marks and scars. 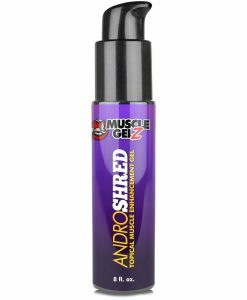 TETRAHEXYLDECYL ASCORBATE: A special Vitamin-C Ester proven to penetrate the skin and deliver 50-times the active Vitamin-C as Ascorbic Acid. Protects the skin against cell damage, has excellent moisturizing and anti-oxidant properties. Clinically proven to stabilize free radicals and help the body synthesize collagen and elastin. TOCOPHERYL ACETATE (Vitamin-E): The strongest antioxidant of all the vitamins. Also has excellent moisturization, healing and skin conditioning properties. Has also been shown to help prevent the formation of scars. ALOE VERA GEL: An excellent moisturizer, that is very effective in repairing damaged skin. CUCUMBER EXTRACT: Contains excellent skin soothing and conditioning properties. COCOA BUTTER, SHEA BUTTER and MANGO BUTTER: Natural thickeners in the product, these butters also provide moisturizing, skin conditioning and skin softening. Dimethyl Isosorbide (DMI) – is a high purity solvent and carrier which offers a safe, effective delivery enhancement mechanism for the active ingredients in ERASE™. 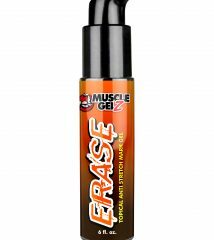 Carbomer – helps to distribute and suspend the active ingredients in the ERASE™ gel. 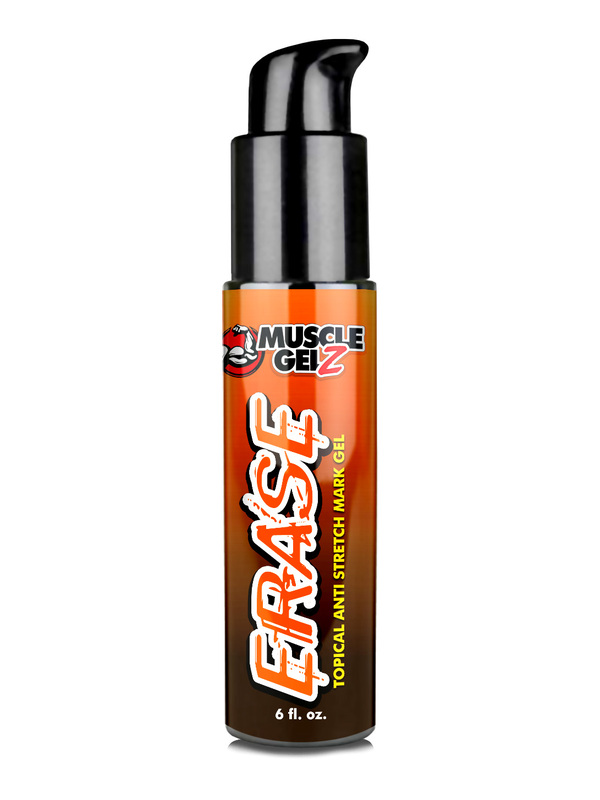 Apply a generous amount of ERASE™ gel once or twice daily to the desired areas. Ensure the areas are clean and free from excessive hair, avoid showering or swimming for at least 4 hours after application. Apply a generous amount of ERASE™ gel once or twice daily to desired areas. Ensure the areas are clean and free from excessive hair, avoid showering or swimming for at least 4 hours after application.